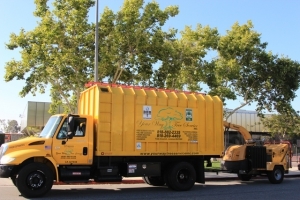 First, the company has been offering tree services in Los Angeles for a long enough period as to gather all the experienced required to deliver a successful and satisfying job. Your way tree services Inc. has been in the business for the past ten years. During these years, the company has build on experience with the technical staff tasked with the job of trimming your tree getting better in the job day by day as to understand all that is required for success in the industry. This experience is marked by the many satisfied and returning customers within Los Angeles. As the name of the company indicates, the company works based on your needs. To do this, the technical staff seems to fully understand your requirements before any work can be initiated. This is done by talking the time to walk through your compound in which you would want the trees trimmed. However, because the technicians have the skills for tree trimming, they will try as best as possible to understand what you want and match it with the possible trimming services. To make sure it’s what you want, you get to see samples of the final work before work starts and only with your consent will the work begin. Your Way Tree Trimming in licensed by Los Angeles. Being licensed means the company has meet the various stringent requirements set out by the state government for licensing of tree trimming companies. In addition to a license, the company is fully insured and bonded. This means any work related accidents or incidences are fully covered by the insurance cover. Therefore, in case in the process of work one of your properties is damaged, then you don’t have to worry as the insurance cover takes care of the repair or rebuilding costs. Lastly, the company guarantees value for your money in their services. The quantifiable measure of tree trimming is in the final look that should enhance landscaping. To achieve this is as well as deliver satisfaction is the mission of your way tree services Inc. this is coupled with the fact that the company has highly affordable services. Therefore, don’t hesitate; contact the company today, first come, first served!